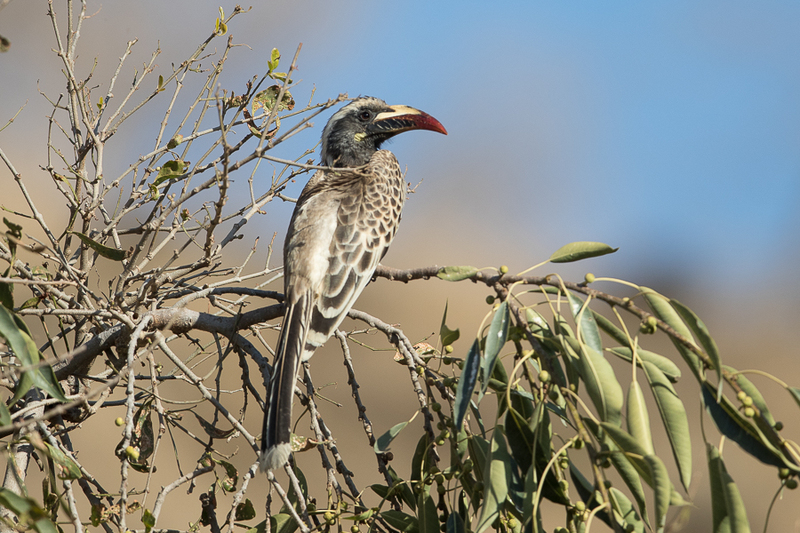 Whilst birding the bottom of the Raydah Escarpment I saw up to ten African Grey Hornbills Tockus nasutus together. This is the largest group I have recorded in Saudi Arabia. They only occur at the bottom of the Raydah Escarpment and are not seen higher up. The birds were located in the large wadi system at the bottom of the escarpment where large trees grow from the bottom of the mainly boulder strewn wadi. 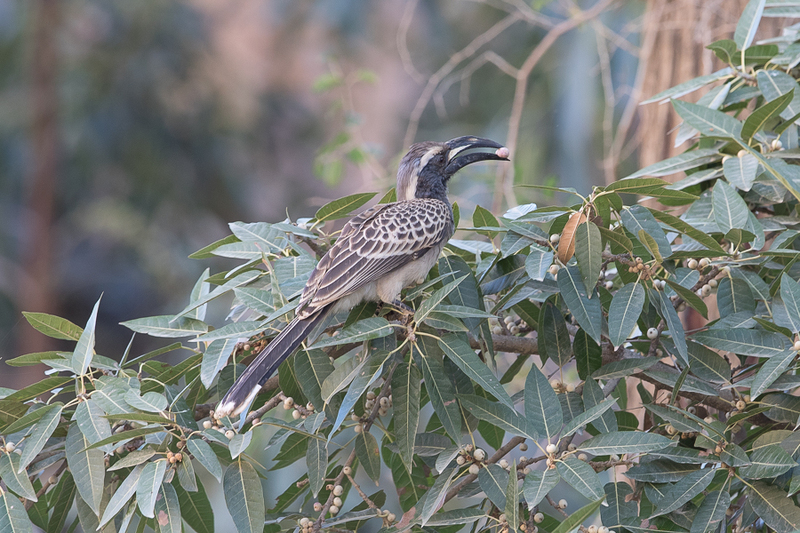 The African Grey Hornbill is a small member of the hornbill family being only 45 centimetres long. It is a widespread and common resident breeder in much of Sub-Saharan Africa and into Arabia, where numbers are much less common. In Saudi Arabia, birds can be seen in the southwest of the Kingdom where they are uncommon. Like most Hornbills the species prefers open woodland and savannah. The female lays two to four eggs in a tree hollow, which is blocked off during incubation with a cement made of mud, droppings and fruit pulp. There is only one narrow aperture, just big enough for the male to transfer food to the mother and the chicks. When the chicks and female outgrow the nest, the mother breaks out and rebuilds the wall, after which both parents feed the chicks. The plumage of the male and female is similar but the male has a black bill, whereas the female has red on the mandibles. Immature birds are more uniformly grey and all fly with an undulating flight. They are omnivorous, taking insects, fruit and reptiles.